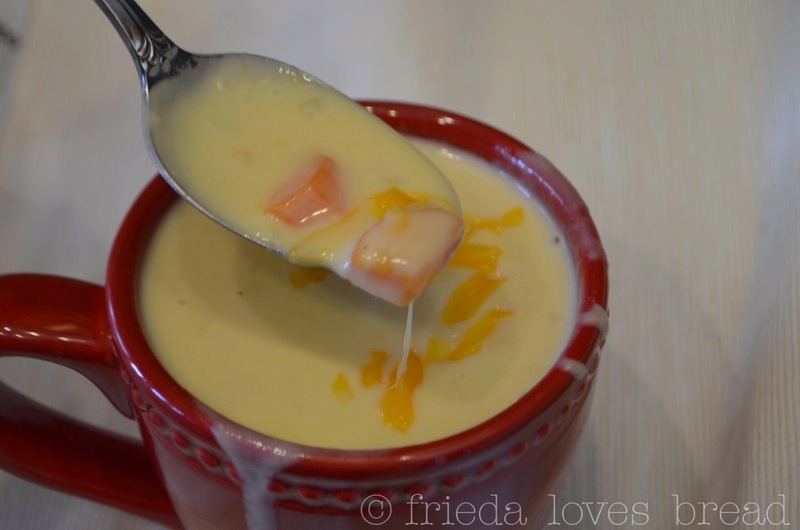 The weather has been cold and for me, that means a cup of creamy soup. 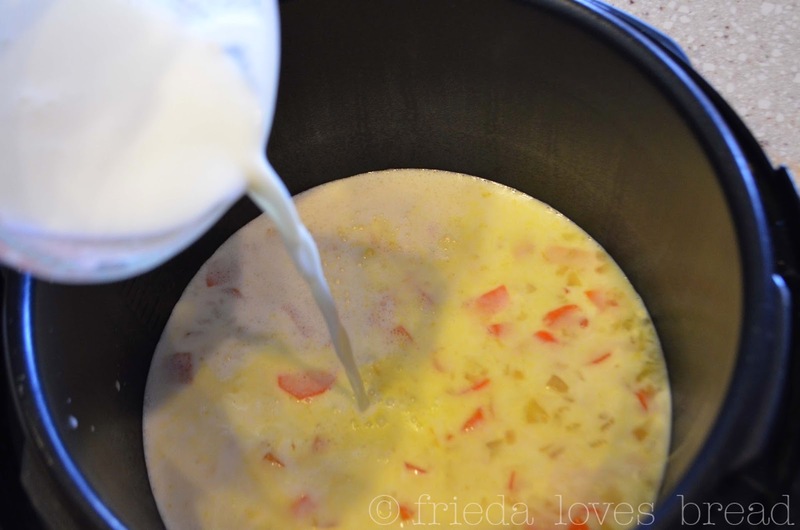 I was introduced to cheese soup by a roommate in my college years and I was hesitant to try it. Cheese? In soup? Really? 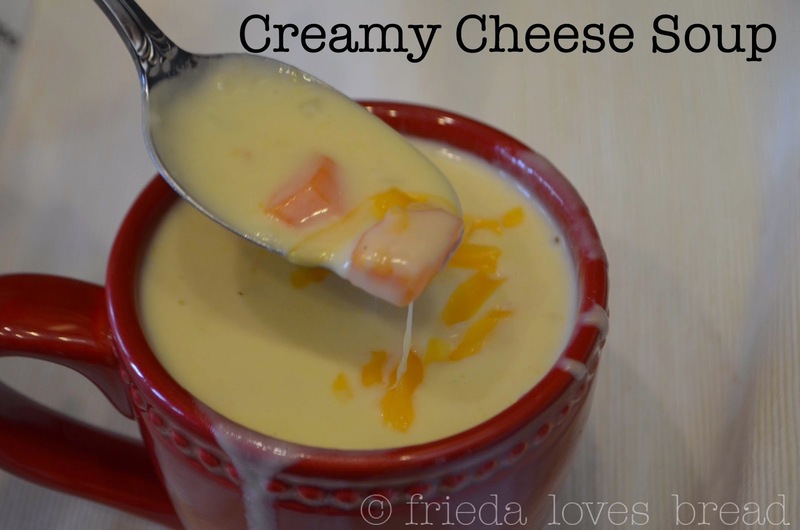 Her recipe used a can of Cheeze Whiz, which was foreign to me, but once I got a taste of this soup and its creamy, cheesey goodness, I was hooked. 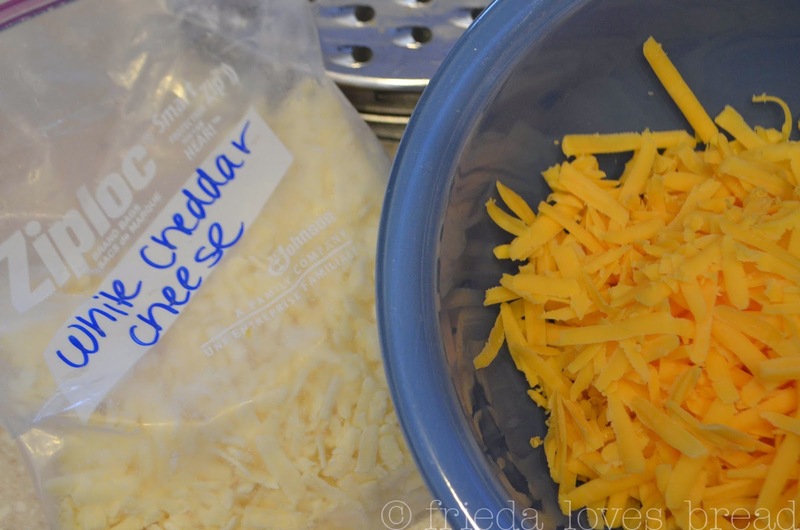 I wanted to update the recipe and use real cheese instead of processed. 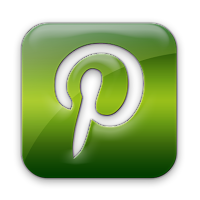 I found this recipe in my trusty Better Homes & Gardens cookbook and it was a family winner. I used my pressure cooker, but by all means, use your stove top for this recipe. It's super easy and your kids will love it! 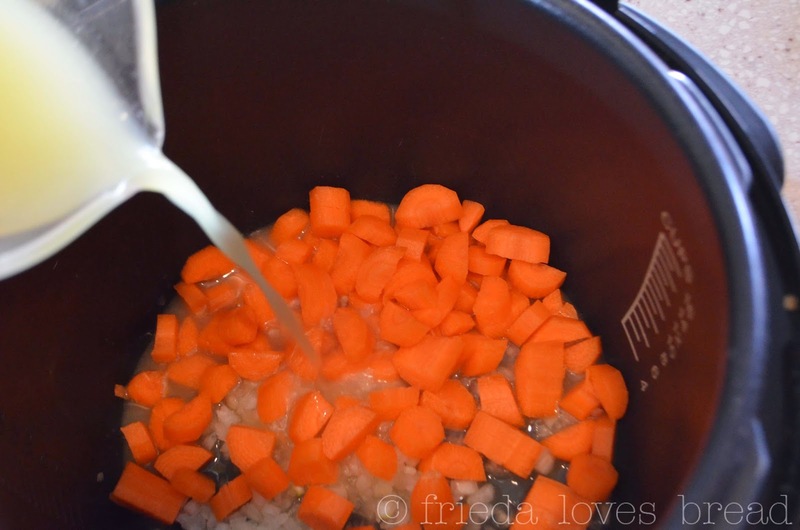 Carrots and onions are cooked until tender with 1 c. of chicken stock (3 min HI pressure or 5 min on stove). Mix milk and flour till smooth and add to cooked veggies. Cook over medium high heat until bubbly. Stir in a combination of sharp and American cheese. I used white cheddar and a mild cheddar cheese. If you use American cheddar, your soup will have a smoother feel. Stir until the cheese is melted, about one more minute and serve.